“I’ve always had a lifelong interest in astronomy and space. I vividly remember my dad pointing out one of the early Sputnik satellites moving across the sky. I still have the 8” Newtonian telescope that my parents purchased for me when I was a sophomore in high school. Now that I am retired, I’ve double down on my life-long learning by taking many MOOC’s (Massive Online Open Classes) in astronomy, cosmology, biology, geology and mathematics from institutions like Princeton, Harvard, Duke, Cal Tech, Rutgers, and the Australian National University to name a few. I formed MASS with Dean in July 2011 to share recent events and discoveries in astronomy and space with people interested in these subjects and to expand people’s knowledge in these areas”. “Like Jim, I’ve had a long, passionate interest in Space Technologies and Cosmology. Seeing Carl Sagan’s “Cosmos” many years ago stoked the fires even more and I considered Carl, as well as the Apollo Astronauts, my childhood heroes. Jim and I met at the Chicago Space Society in 2013 and he and the group welcomed me into MASS which I’m very proud to be a part of. I’m the website manager here on masscosmos.org, and enjoy contributing to the group in anyway I can. Sharing the importance of future space technologies and colonization is a wonderful experience”. 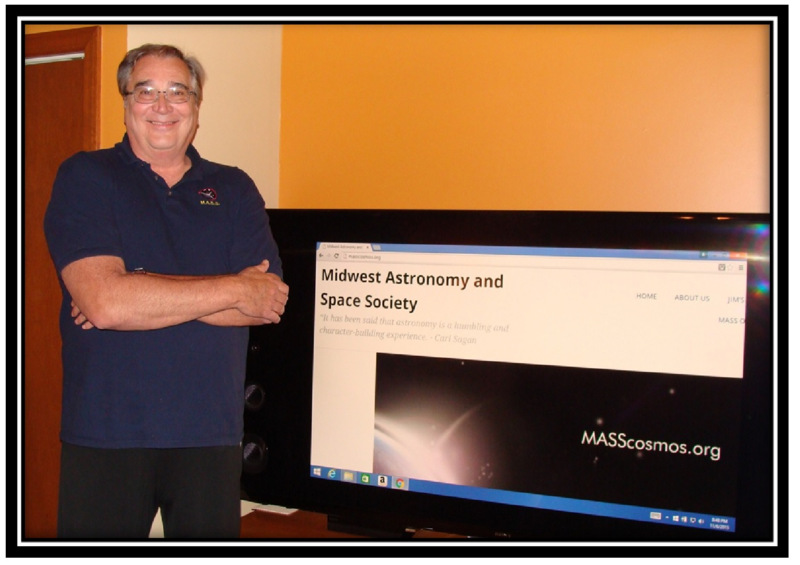 The Midwest Astronomy and Space Society (MASS) is a group of active Space Advocate enthusiasts who participate in the open discussion for the advancement and betterment of mankind leveraging existing and future space science technologies, space exploration and astronomy. 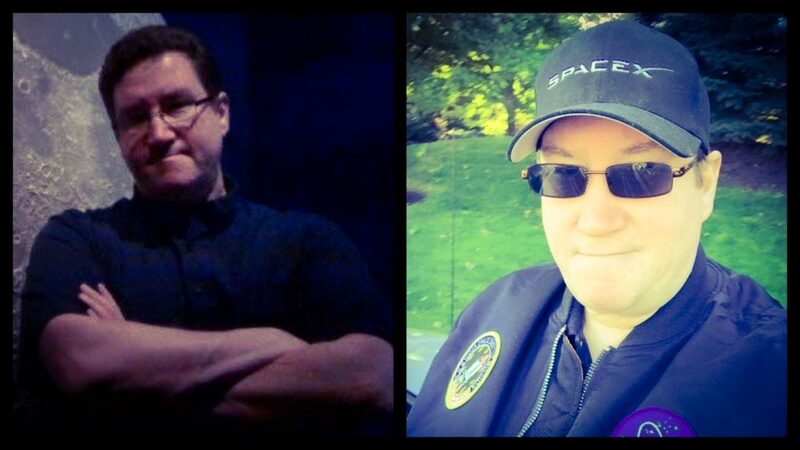 Located near the Chicagoland area, James Mueller along with co-founder Dean Mikolajczyk help lead the group with monthly MASS meetings, Skywatch participation at the Triton College Cernan Earth and Space Center, and Star Party events promoting the importance of space exploration. I was rather afraid I’d have to create my own local astronomy club/organization, but I’m quite relieved this exists (and I’d love to get involved)! Can you please email me more information, like meeting times/dates/locations? Our meetings are a little haphazard but Dean is giving a presentation at the Villa Park, IL library on Monday night, Jan. 30th, at 7 PM about the exploration of Mars. Do you live close to that venue? The library phone number is 630-834-1164 and the web site is http://www.vppl.info . You can register for the talk by either calling of going online and clicking “Calendar”, Monday January 30,2017, and clicking the “Register” box. I and several other members will be there. I’ll be the 6′ 6″ guy wearing a dark blue MASS shirt. Hope to see you there.